Happy New Year to all! Hope all of you had a great holiday and wish you have a wonderful new year! 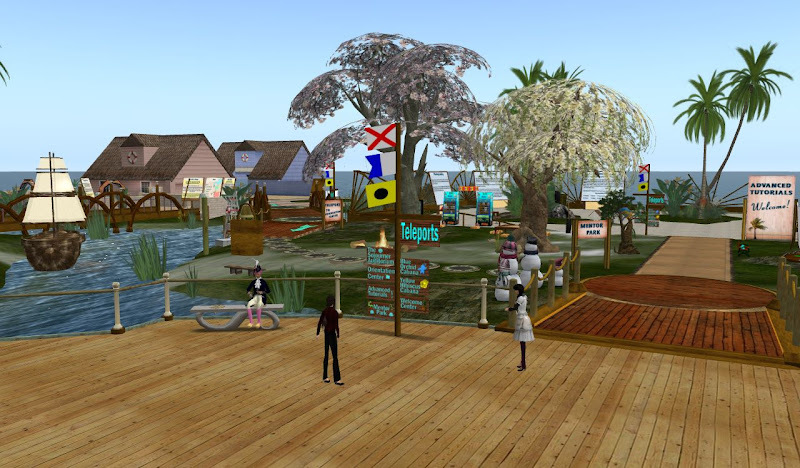 Virtual Worlds Best Practices in Education—4th Annual Conference is held on March 17-19. Submissions are due no later than 23:59 PST Monday, January 31, 2010. DISCUSSION: How High Quality Arts Education Can Prepare Students for the Future? SageStage Minotaur: Mary asked me to write a short essay on How High Quality Arts Education Can Prepare Students for the Future? and gave me 10 days to do so. I started to think about what the world will be in 18-20 years for those entering kindergarten today and graduating in 18 years. SageStage Minotaur: How do you define high quality art education? and in defining think about learning and life for young people and their adult life in 20 years. Hoeptner Hurricane: are we talking from the perspective of preparing future art teachers of K-12 children, or the children that receive the art education, and what would be considered high quality for them? Hoeptner Hurricane: I do worry quite a bit that if I don't change/adapt/evolve in how I teach my future art teacher students (to include my digital technology, different modes of delivery, etc. ), that I am not doing everything I need to. Not MY technology, sorry--technology in general. I know art ed professors that resist wholeheartedly embracing digital anything when it comes to learning, curriculum etc.--that concerns me. SageStage Minotaur: augmented reality changes how we get ideas, visualize, and conceptualize knowledge. SageStage Minotaur: it was a big deal to have images of artworks when I began teaching 25-30 years ago. I taught in art museums and art galleries or public spaces. Now the public spaces include the Internet. Admiral Hubbenfluff: Do you feel competent as an art teacher to teach visual culture? 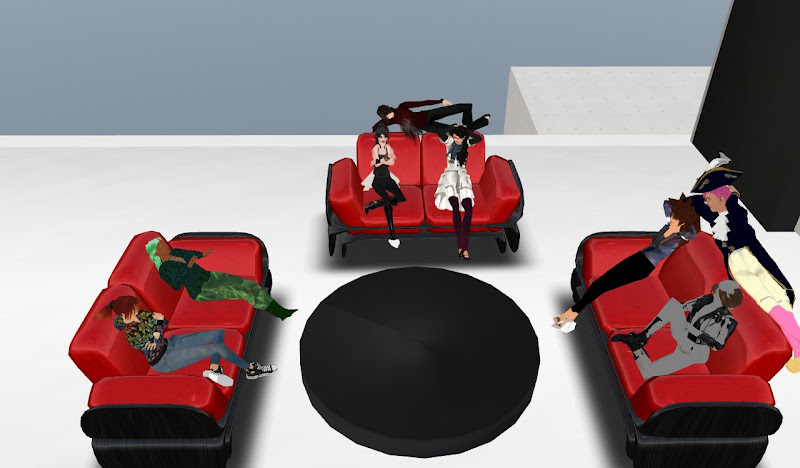 Hoeptner Hurricane: I agree; it is similar to the criticallty needed to be consumers of visual culture; to be critical of the augmented reality that infuses our lives. Does that kind of criticality require the same skill-sets (e.g. art criticism skills; analysis) that we have traditionally used? Deborah Copperfield: I think the way traditional art criticism helps you learn to look deeper is good. it might be transferable to looking deeper at these other areas. SageStage Minotaur: In sculpture and engineering at Penn State there are classes that include use of rapid prototyping with 3D printers. A drawing of an idea for an object is placed in a printer along with the raw materials for that substance of the object, and the printer produces the object translating the drawing into layers to "print" and object. Some of the art ed students use it and we have had demos in art ed classes. Researchers at Penn State’s Applied Research Lab (ARL) are building large metal parts such as tank turrets using robotically guided lasers for large scale 3D printing. The cost has come down drastically in the past 7 years and I expect in 20 years that many people will have a 3D printers in their home (like people have 2D printers today) and order the raw materials (like we do ink) and make their functional objects (shoes, toilets, lamps, etc.). Most will order/buy designs and make minor customized changes. I predict that DIY and cottage industries will continue a trajectory with major changes in manufacturing. Global capitalist ventures will likely focus on supplying the 3Dp printing machines, designs, and raw materials. Deborah Copperfield: We can teach higher level problem solving, etc. still - so far we're not following canned curriculum like the other fields. Hoeptner Hurricane: The idea seems to take center stage, then, as opposed to the craftership of the object; process is reconceptualized, the kind of artistic engagement is too. I find this hugely full of potential! Special needs considerations, for example--the empowerment in the possiblities--that only gets me psyched! Sandrine Han: how about computer software interface? website interface? Marylou Goldrosen: Here at ASU, Dan Collins, who went to school with Charles Garoian, has been experimenting with this type of sculpture. Like a layered topographic map, he has measured his face and printed a figure to his own measurements. This sounds like what you are talking about. SageStage Minotaur: ACCESS in the UK has many workshops with artists doing this, teaching others, and so it is like making one's own paint--getting the colors from surroundings (collage, plants) rather than buying the glitter markers, etc. Admiral Hubbenfluff: I think that the process of manipulating a material is critical for arriving at an idea. Hoeptner Hurricane: I'm also thinking about the computerized looms that KSU students use--it would be impossible to accomplish their vision without that kind of assistance. The design process is still fueled by them, but the computer makes the idea a reality. SageStage Minotaur: How do you define high quality art education? I am reading from this group that it has to do with manipulating materials. Are there some materials we should have our hands on to manipulate, or is this open-ended? Admiral Hubbenfluff: I think that the learning involved in the process of manipulating physical materials is different from manipulating digital material- you have to think about what kids are actually learning and what skills you are teaching them, One is obviously not a substitute for the other. Deborah Copperfield: There should definitely be lots of hands on manipulating - unstructured - and not just with the little ones. SageStage Minotaur: ideas from materials--what materials? does computer and printer parts count as physical materials to manipulate? Hoeptner Hurricane: Is it possible to prepare students to be equally comfortable/confident in creating art/thinking about art/thinking about the world using our hands as well as digital manipulation? I think so, it will take a different skill-set for those that prepare the teachers. SageStage Minotaur: does functionality fit your ideas of high quality art education in manipulating materials? Deborah Copperfield: I think it could. Constructing on a virtual level would count too. That would bring in all abilities levels. Admiral Hubbenfluff: Yes, they are materials that you can manipulate, but do they lead or suggest ideas by their physical properties or do they serve a preconceived idea? I think that a lot of digital media served a preconceived notion. Deborah Copperfield: You have to be able to manipulate and create - too many of the virtual realities for children don't allow this. SageStage Minotaur: I was adding to my comment Deborah, not in response to your point. Too many of the physical realities of children, especially in school and even school art do not allow children to manipilate and create. Deborah Copperfield: Yes - I was surprised when I began teaching primary public school students with how many art teachers give step by step projects, not open ended at all. Admiral Hubbenfluff: A printed sculpture removes a lot of information that is potentially significant - it is an image- what about all the other information present in a physical form- think about richard serra's sculpture made in plastic - it would be meaningless. SageStage Minotaur: physical vs digital is not a productive way to think about quality art education because the same problems of quality apply to both. Admiral Hubbenfluff: I agree Sage- but I am talking about producing imagery vs. arriving at ideas that arise from process. Hoeptner Hurricane: I judged the Scholastics Art Awards for our region yesterday....the digital entries were dismally small in number, and there was no evidence of what we are talking about; they all appeared to be the same-old school art, just digitized. SageStage Minotaur: 3D printing creates a physical form. People will be 3D printing shoes, toilets, etc. Will they get kits with designs or custom design? augmented reality and 3D printing do both--and both can be uncreative or creative, just like working with paints or clay. Most will order/buy designs and make minor customized changes. I predict that DIY and cottage industries will continue a trajectory with major changes in manufacturing. Global capitalist ventures will likely focus on supplying the 3Dp printing machines, designs, and raw materials.